My son is at the age where it is impossible for him to sit still to do anything. He is constantly on the go and has an attention span of about two seconds. Every mother that has a toddler has a Pinterest filled with an abundance of crafts and activities for them to do. 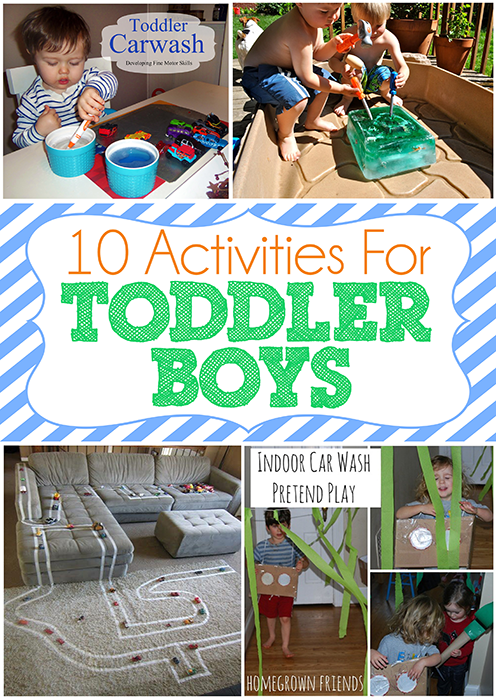 I’ve narrowed down some of my sons favorite toddler activities! These have not only helped my son with some fine motor skills and enhanced his creativity but it has also given Mommy an hour or so of quiet time! 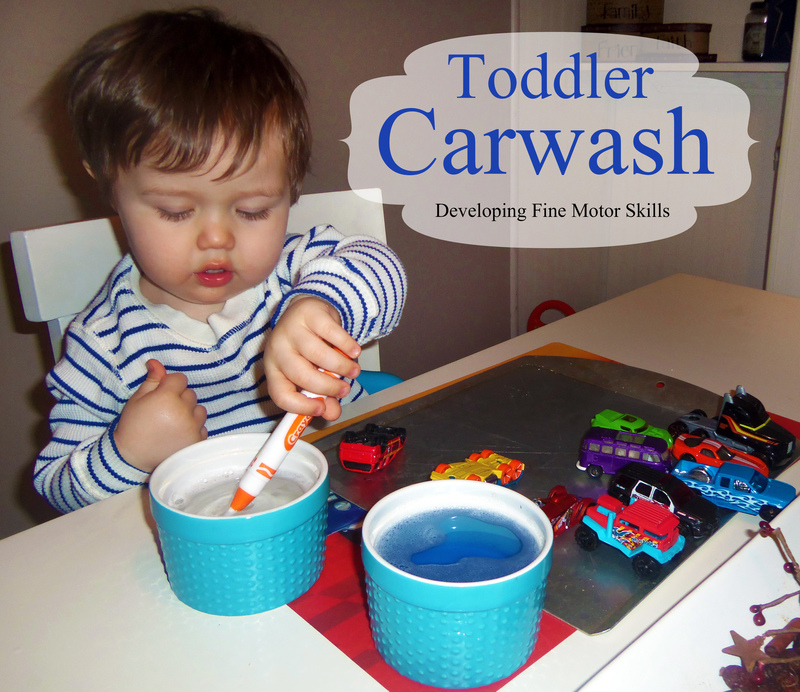 I’m pretty sure every toddler boy has about a million of these Hot Wheel cars and my son is no exception.This little activity helps with some fine motor skills and you get some clean toys in the mix. All we have here is an extra toothbrush we happened to have, two bowls with water and one with dish soap, and some Hot Wheels! 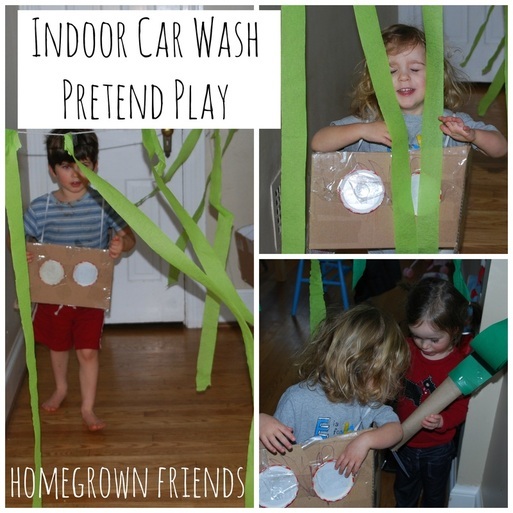 I love this activity because it would be one to wear out the little ones after running through the car wash and a great idea to reuse the cardboard boxes! This activity requires two simple things a big cardboard box and crayons. 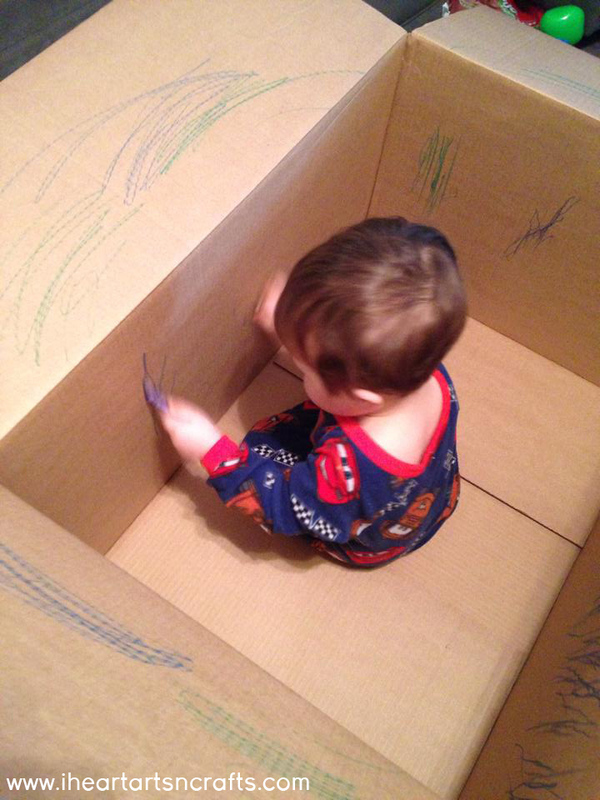 Stick your toddler in the box and voila he’s occupied creating mommy a masterpiece! And it’s a lot better than having the drawings on your wall! 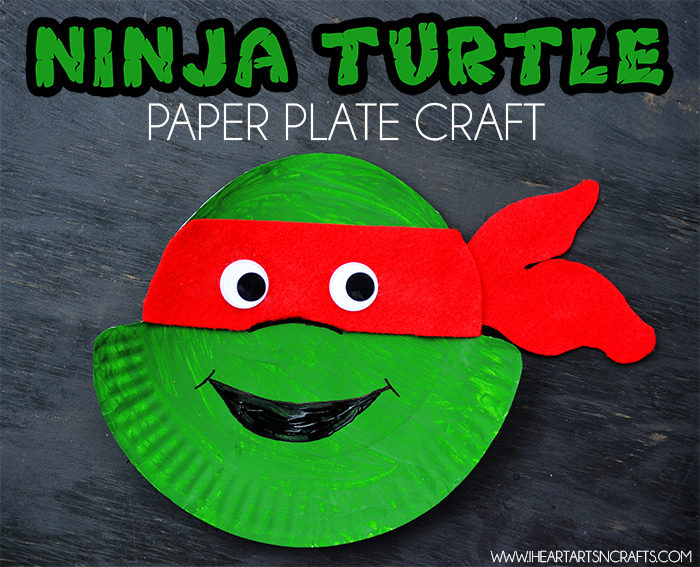 This activity is on our list to-do when we have our niece and nephews over. 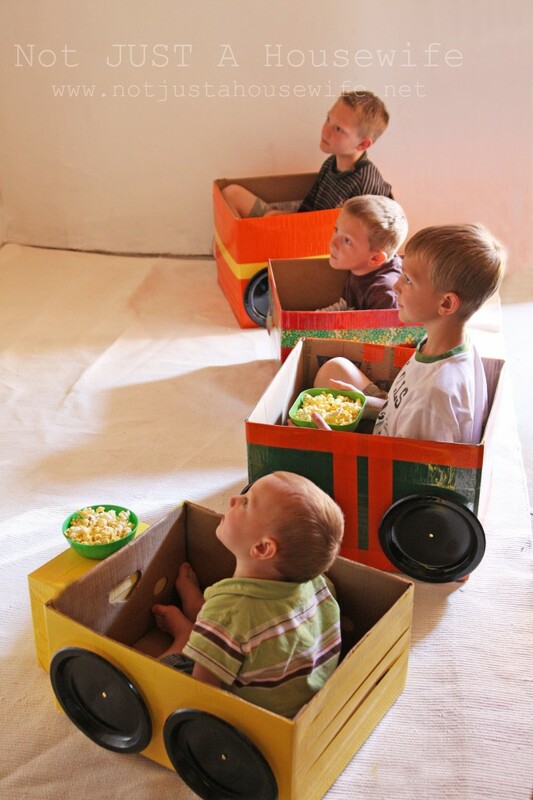 Along with the cardboard box ideas this gives your toddler a chance to decorate and help put together their own little car and then you can use it for family ‘drive in’ movie nights! Such a cute idea! 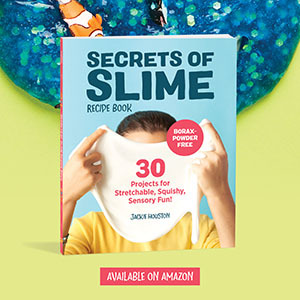 This is my favorite slime recipe it’s easy to do and the kids love it. Not to mention it is edible, although it’s not meant to actually eat but if you have toddlers playing with it and one were to accidentally take a taste it would be perfectly safe. And yet another Hot Wheels activity, which I think you can never have enough of. 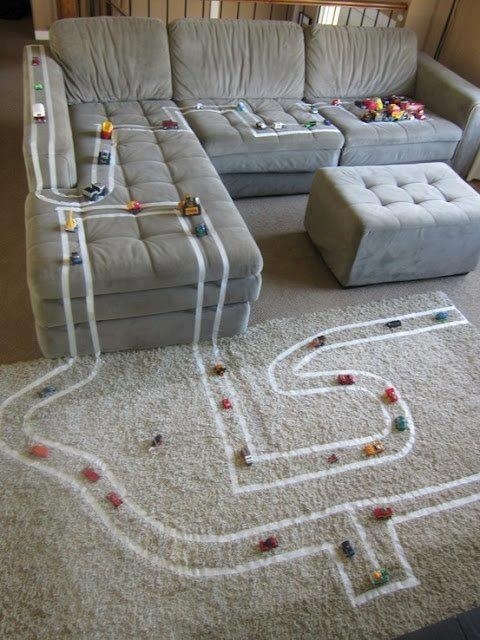 Check out Frugalista Mamas to see how you can make these fun little roads throughout your living room. 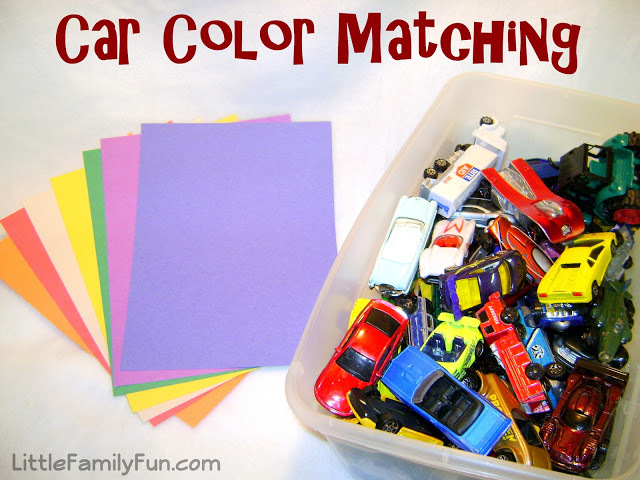 A fun activity to get your toddler to learn more colors. My son has done really good with this one and has even learned a few new colors from it! 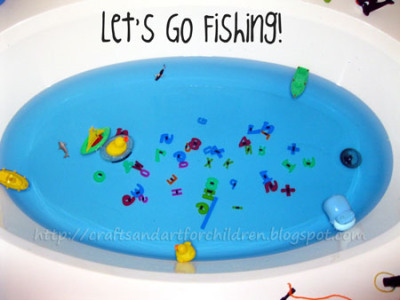 An activity to help your little one get familiar with his alphabet and another use for all of those fridge magnets. 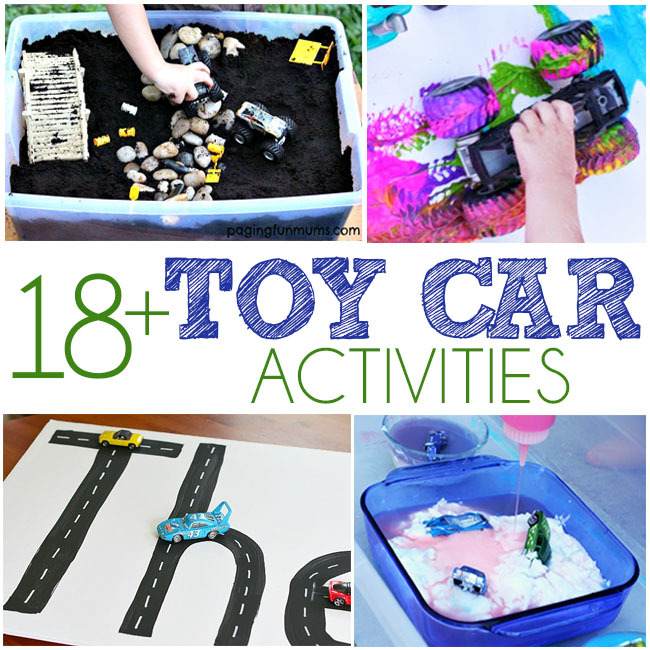 Our family plans on trying this activity as soon as it warms up! 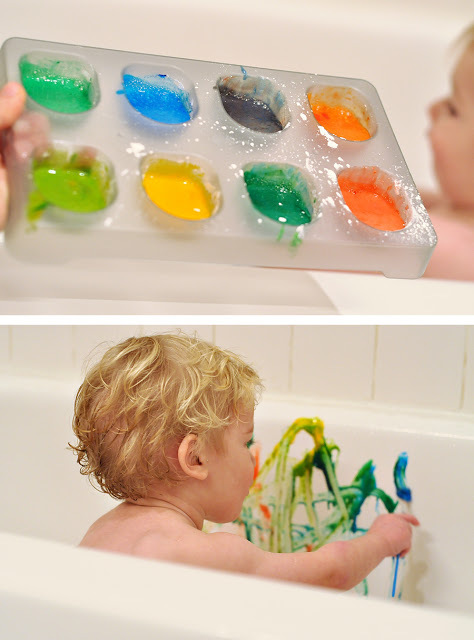 Our son Jace goes through the Crayola bath tub crayons like crazy and our tub is filled with his artwork. But what I love about this is that it’s made from safe products that we already have at home, it’s easy to wipe off, and it’s a lot cheaper than buying the crayons and paint at the store. This is a great compilation of ideas! I particularly love the indoor car wash! 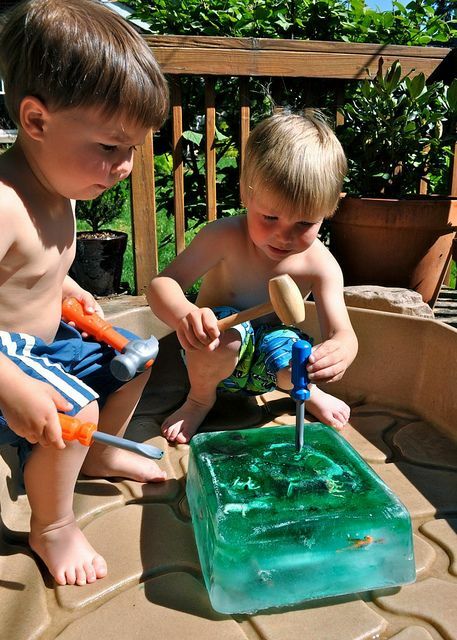 My boys love it when I freeze toys in an iceblock, and they get to melt it using water guns! I love your ideas and think that they are appropriate for girls too! I love cars and getting my car washed! Thanks for sharing such creative ideas! I have the tape race track and the cardboard box “drive in” pinned myself. I LOVE the indoor carwash idea as well. Love cardboard boxes, period. I love these ideas! Very cool! and once in my own living room http://frugalistamamas.com/2013/09/how-to-keep-little-boys-busy-for-more-than-5-minutes-part-deux.html . I am more than happy for you to keep it on this post if you could please add the appropriate link. 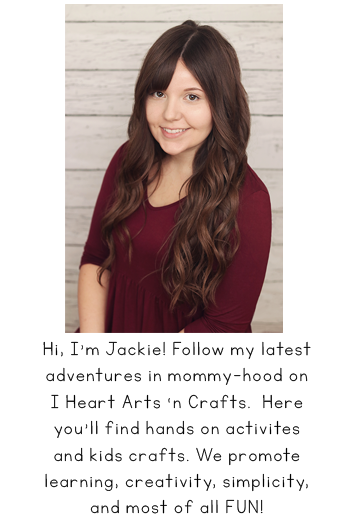 My blog is Frugalista Mamas located at – http://frugalistamamas.com . Hi Tennille, I just updated it! Thank you :] Love the roads! You just found yourself a new fan! These are some really good, really quality, and really creative ideas. Thanks!